The fact remains that a fixed fortification cannot ever prosecute a war or project forces. A rare key assett may rate an upgraded fortification, but such will never be the main expenditure of resources of a victorious army. Hah! It didn't have all of those pieces but I had one of those for our GI Joes when I was a kid. Anyway 74 was a bit old by the time of the dominion war and far of the frontlines, unlike some other starbases. Still, my impression was that except for small sensor boarder outposts, most Federation starbases served as spacedocks primarilyas opposed to being built primarily as a defense, extending the range of Federation explorers and fleets, performing maintenance and construction you wouldn't want to do on a planet's surface, and service as a sensor platform. They seemed to be primarily built in remote areas, and probably would BE the target instead of defending a target. DS9 being an exception born of a host of odd circumstances, while 74 was all about the maintenance. Mikey wrote: The fact remains that a fixed fortification cannot ever prosecute a war or project forces. A rare key assett may rate an upgraded fortification, but such will never be the main expenditure of resources of a victorious army. Can guarantee that your forces will always be on the offensive? That they will never be defeated in the field? That they will never be caught out of position? Certainly fixed defences alone cannot win a war, but in conjunction with mobile forces using them as a base of manoeuvre they are a vital part of any defence. If it weren't for fixed fortifications, Marlborough's army would have marched straight on to Paris after Ramillies in 1706, Baltimore would have burned as brightly as Washington in 1814, the German armies would have enveloped and crushed the Entente in 1914 and the US advance across the Pacific in 1943-45 would have been far less bloody than it was. They're expensive, but they're also a vital part of any prudent strategy. In space its hard to fortify anything unless it's a planet or a natural choke point like the wormhole. Starbases in the middle of space do not need to be heavily armed or fortified. If it was like 375, then the fleet there would protect the base, but if it's destroyed it won't be that big of a loss. But planets especially if they can upgrade the defenses where if would be costly to take it. That would the point of fortifying planets. Make it costly. Dont want to make it easy for them to take the planet either. 74 type is too massive for the resources to put in orbit of any major planet. And one is just as useless. Cheap easy to make orbital platforms like the Cardassian ones make sense. Ground based weapons also make sense. All true. None of which invalidates anything I said. Starbases have the wonderful advantage that they can offload most of their supply storage to planetary locations. Also, if they can do enough damage to an enemy fleet, the attackers will lose more ships on the return trip as damaged components fail. But a smart starbase commander will have a mobile element available to keep the enemy fleet disrupted and off balance. But you would only upgrade starbases near strategic locations. A good location to upgrade would be near the Earth and Mars shipyards, as if the enemy wants to bombard from range the starbase has enough time to deal with the photon torpedoes. If the attackers get close (they have to), the starbase can engage them directly. - Ships that can be upgraded to the required standard have it done so. If this causes shortages for other science projects, ah well. - Ships with passing grades (and upgrades) get sent to the Cardassian front, ships without get sent away as they are relieved. - Shipyards get told to start construction of only the new designs. - Mining/Refining/Fabrication yards get boosted. If there is some sort of rewards system for work, this gets boosted in favor of materials needed for war efforts. - Political contacts are made with neighboring empires to get them either on the federation side, better trade agreements, or at least non-aggression pacts. This will give access to more ships, more resources, or just less ships tied down. - Research will be focused on the Dominion shields/weaponry/White, to find a weakness. Killing numbers of Jem'Hadar won't work as they can clone more. Identifying Ketracel White supplies along with ship-building complexes should be my targets. - Sabotage will focus on the Ketracel White storage and Industrial centers. If only a few locations produce a critical system needed for Dominion or Cardassian vessels, I need to destroy it. I know this thread is a bit old, but it seems interesting so I'll respond. I think starbases on or near the front lines of potential or imminent war zones would be far more heavily defended with shields, weaponry, or stationed star ships then those of the interior, and would receive top priority on upgrades and modernization. Starbase 375, being Admiral Ross' headquarters, would be the most heavily defended (outside of DS9) starbase in the entire Federation by the time the Dominion War started. That starbase housed Admiral Ross (the commander-in-chief of the war), his staff, starfleet intelligence, and any other administrative staff needed to run the war. It was basicly Starfleet's version of London during WWII for the European campaign. If the Dominion took out Starbase 375, it would have been devastating to the Federation war effort, far more then the border stations like DS9 or starbases 310 or 211. Talondor wrote: I know this thread is a bit old, but it seems interesting so I'll respond. True, but let's not forget though that whether it would be or not, DS9 IS still THE most strategically important outpost the Federation actually has, due to its proximity to the Bajoran Wormhole and the entrance to the Gamma Quadrant (and the Dominion's HOME territory). To quote Captain Sisko from Favor The Bold, "Earth (and by extension SB 375) isn't the key to the Alpha Quadrant, the wormhole is. And whoever controls DS9, controls the wormhole." He didn't make such a big fuss as to worrying about losing SB 375. The whole entire war itself HINGED on the prospect of keeping DS9 in Federation hands and safe. That is why they mined the entrance to the wormhole - not only does the Dominion have to deal with the forces they had, but with the Klingons FINALLY assisting them, Starfleet finally managed to take back DS9 WITHOUT having to deal with the Dominion reinforcements (though that was only because in Sacrifice of Angels, Captain Sisko managed to convince the prophets to take them out of existence). And let's not forget that, save for Earth's own spacedock and such stations like SB 74, DS9 WAS THE most powerful space station that the Federation ever had in the first place. So forgive me for saying, but it sounds to me like the other way around, that losing DS9 seemed FAR MORE costly than losing SB 375. The only reason 375 was so strategic was because it was one of the only stations close enough to DS9 anyway. I'd agree with that to an extent - Deep Space Nine was certainly the most strategically important point in the whole Federation, since it controlled the wormhole through which Dominion reinforcements could flood in. However, once the Prophets made it clear that they wouldn't allow those Dominion reinforcements through, DS9 greatly shrank in importance. Yes, it's a very powerful station - but so what? All it's guarding is the wormhole, and the wormhole isn't important to the Dominion any more. 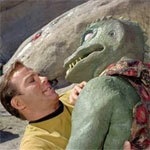 Hell, it couldn't even defend Bajor if it needed to. That's not to say it's entirely unimportant. It is in a handy location for attacking Cardassian territory. We see it serving as a repair base, fixing up ships to go back to the front lines, etc. Handy place to have. But do we know if it's the closest base, the biggest base, the most important base for that kind of thing? Not really. I agree, DS9 is the most heavily defended base in the Federation, because of the wormhole. But once Dukat let the Dominion take over the Cardassian Union, and the Founder's attempt to snuff the Bajoran sun in the same incident, Starfleet Command must have concluded that war with Cardassia and the Dominion would commence sooner rather then later. Logic would dictate that they would have began upgrades to the fortifications to all the starbases and planetary defenses in the sectors along the Cardassian border once the Dominion moved in. Sisko said as much when the Klingons attacked the station that they had prepared DS9 for such a future invasion when the Dominion became interested in the Federation. Once the Dominion started setting up shop, the Federation must have sped up upgrades in all the sectors along the border to bring them up to what DS9 must have been. Particularly SB 375 which seemed to be the headquarters for the war effort. DS9 was the most strategically important spot until the Prophets shut down the wormhole to Dominion forces. After that, it was only the most important frontline base because it was the closest to Cardassia (according to the Star Charts book). But I would still argue that SB 375 was more important Admiral Ross' headquarters. How close is the Bajor system to Cardassia Prime? IIRC Explorers had a Bajoran solar ship travel to Cardassia Prime, and the trip took a few minutes. That means the Cardassian system is fairly close to Bajor. Since Cardassia Prime is likely a major industrial location (including shipbuilding), this makes DS9 a key location. With access to DS9 you can have Federation and Klingon ships raiding Cardassian territory easily, but without DS9 there is no convenient location for repairs. 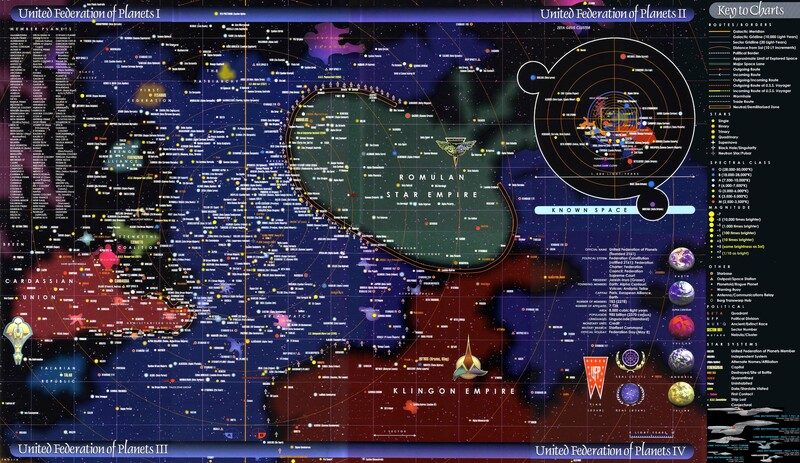 The official map puts it right on the Cardassian border. It's many times further away from Federation space than it is from Cardassian. What about a well armed Dyson Sphere that surrounded the ENTIRE Federation, manned with immortal Chakats?! Wouldn't THAT win a war, Mikey? Where's your theory now?! In all seriousness, I would think key systems would be defended by a lot of small, fast moving fighters and picket ships and the aforementioned orbital defense platforms. The idea of a single starbase doesn't really make sense in the three-dimensional and expansive nature of a star system. I always sort of liked the idea of the Imperial Interdictor Cruiser - something to create a large gravity-well to prevent ships from going to warp near your system to prevent ships from entering/escaping via warp.